Celebrate Mother’s Day with an afternoon of folk and fiddle-infused music. Newport String Project musicians EmmaLee and Gillian will be joined by special guests Rachel Panitch (fiddle) and Mike Sokolovsky (guitar). The Newport String Quartet present chamber works by Maurice Ravel, Jessie Montgomery and Peter Schickele. 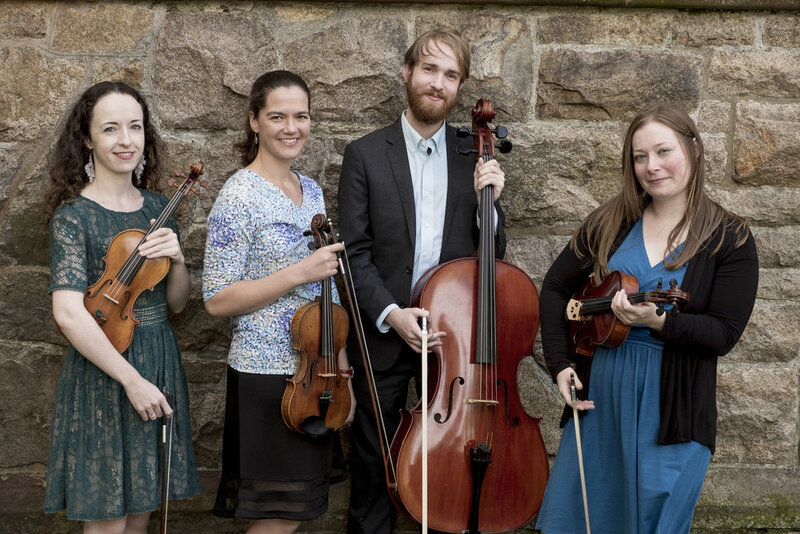 The Newport String Quartet will be joined by guests Ethan Wood (viola) and Jacob MacKay (cello) for a fabulous afternoon of chamber music in the exquisite surrounds of the Redwood Library. Join the students of the Newport String Project at the Newport Public Library for their end of semester performance! In action at last year’s Street Fair with Jaime Feldman and Ashley Frith. Join Emmy, Mike and Tom for some fabulous fiddle fare as you peruse the offerings at the Growers' Market. Join Emmy, Tom and Mike for fiddle tunes at the Aquidneck Growers' Market on Memorial Boulevard Newport from 2pm-6pm! 12 in a mixture of song and dance interwoven with the magic of old-time fiddle music. children into the land of song-writing showing them how to create new lyrics for old tunes. 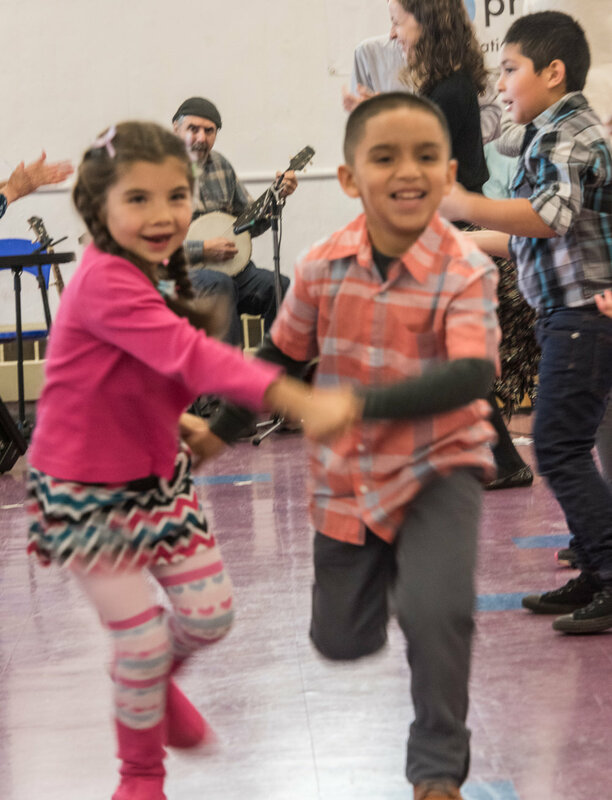 Then it’s time to shake those wiggles out with circle dances that blend movement and fun, all to the tune of fiddle music. Chamber music was written for intimate spaces - a giant living room is definitely not a pre-requisite! 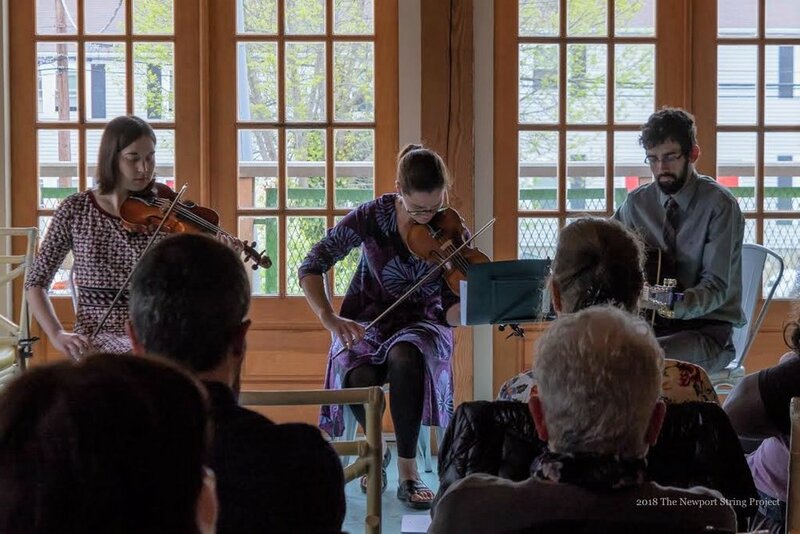 Fiddle trio with EmmaLee, Rachel Panitch and Michael Sokolovsky – come enjoy a Mother’s Day Brunch and toe-tapping tunes on the special day! 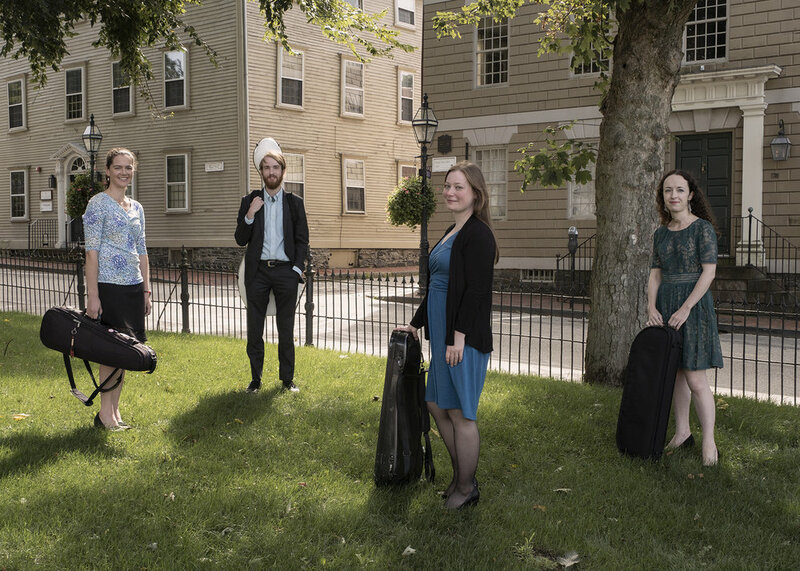 Join the Newport String Quartet at the Aquidneck Growers Market at Newport Vineyards. Also featuring a performance by the students of the Newport String Project! Golden Bantam String Band (EmmaLee on fiddle) and Newport String Project student performance at the Aquidneck Growers Market at Newport Vineyards. 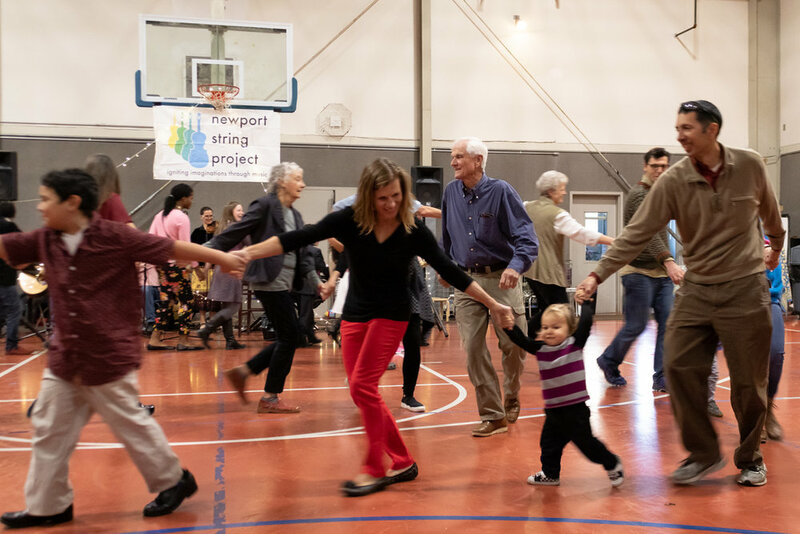 Join the Newport String Project for an eclectic program featuring Barber's String Quartet, Jessie Montgomery and Steven Snowden at St John's Church (Poplar St, Newport). 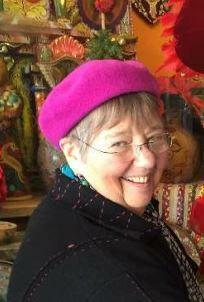 With guest musician Elizabeth Stefan, viola. Join us for the fall community barndance - fun for all ages! Presented in partnership with Common Fence Music. The Newport String Project is delighted to welcome violist Ashley Frith and cellist Jaime Feldman as our new associate musicians. Together with project directors EmmaLee and Ealain they will be performing as the Newport String Project's first quartet-in-residence! Join us for a fabulous program of works by Haydn, Schumann, Martinu and Schubert. 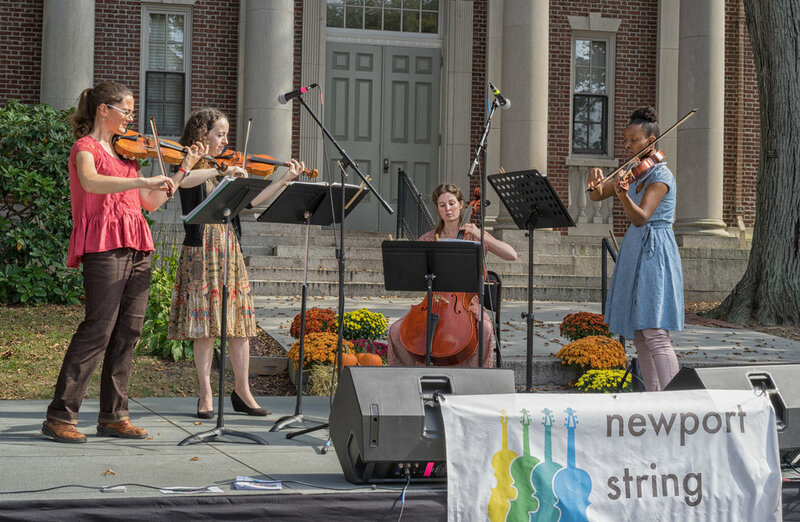 All proceeds support the performing and educational programs of the Newport String Project. String Quartets to celebrate the close of our fourth season! 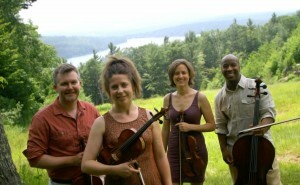 The Newport String Project returns to Doris Duke's Rough Point.